Just Romantic Suspense: Riveting HARLEQUIN ROMANCES guaranteed to surprise and excite! Riveting HARLEQUIN ROMANCES guaranteed to surprise and excite! Congratulations to "Brook B. ", "Vin G." and "Tammy Y. ", the winners in the giveaway. Thank you to all who participated! The woman fleeing a cold-blooded killer is no stranger to Deputy Colt McKinnon. Fourteen years ago, Elise Nichols was the love of his life. Now she’s back in Sweetwater Springs–to be the star witness in an upcoming murder trial that could tear the Texas lawman’s family apart. With her explosive revelations certain to rock the town, Elise didn’t expect to be welcomed home with open arms. Certainly not by the cowboy with the badge who once meant everything to her. But after being run off the road and shot at, she has no choice but to trust him. Even more dangerous is the desire that’s reigniting, making Elise yearn for something she may not live to see. DELORES FOSSEN is a USA Today bestselling author with a family tree that includes Texas cowboys, Choctaw and Cherokee Indians, a Louisiana pirate, and a Scottish rebel who battled side by side with William Wallace. With ancestors like that, it's easy to understand why Delores, a Texan and former Air Force captain, feels as if she were genetically predisposed to writing romances. Along the way to fulfilling her DNA destiny, Delores married an Air Force top gun who just happens to be of Viking descent. With all those romantic bases covered, she doesn’t have to look too far for inspiration. With his team of elite K-9 cops and his loyal dog, Glory, at his side, Gavin discovers that a child at Cassie Danvers’ nearby foster home may have witnessed the murder. He’s drawn to the determined and beautiful woman, but she doesn’t want him interviewing her traumatized charges. Yet trusting Gavin is the only way to stay one step ahead of the deadly gunman when Cassie becomes a target. SHIRLEE MCCOY knew early that she wanted to write inspirational fiction and began writing her first novel when she was a teenager. Still, it wasn't until her third son was born that she truly began pursuing her dream of being published. Three years later she sold her first book. 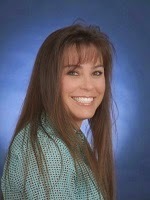 Now a busy mother of four, Shirlee is a homeschool mom by day and an inspirational author by night. She and her husband and children live in Maryland and share their home with a dog and a guinea pig. Georgia has seen one wealthy Adair ruin her stepmother's life and swears she won't get involved with his son Carson, but she can’t resist his tempting good looks. Award-winning author Jennifer Morey pairs former special ops soldier Carson Adair with determined librarian Georgia Mason in THE MARINE’S TEMPTATION (Harlequin; $5.50). So what if he's a hot former special ops soldier who showers her with extravagant gifts? He is the sexiest man she's ever met and it's hard to hate him for searching for his long-lost stepbrother, or tracking down the traitor behind his botched mission. When Georgia is kidnapped by a disturbed ex-boyfriend and thrown in the line of fire, Carson protects her, igniting their scorching passion. But after all they’ve gone through together, will Georgia fit in with the elitist Adairs? JENNIFER MOREY’S first stories were inspired by her childhood love of Man o' War, Secretariat and The Black Stallion by Walter Farley. Bubbles of dialogue above cartoon drawings of horses led to hand-written tales of adolescent love. Years later, and two months after graduating from Colorado State University with a B.S. in geology, her mother died suddenly and the course of her life changed. The writer in her resurfaced, and she pursued a serious career. As Associate Project Manager for the Spacecraft Systems Segment of a satellite imagery and information company, Jennifer works with the International Traffic in Arms Regulations. When not writing, she can be found playing volleyball, hiking, flower gardening, socializing, or cuddling with her rescued golden retriever and feisty yellow lab. 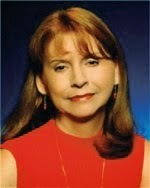 A finalist in more than twenty contests, Jennifer has received several awards for her writing, one of which led to the publication of her debut novel, The Secret Soldier. Giveaway ends 11:59pm EST March 30th. Please supply your email in the post. You may use spaces or full text for security. (ex. jsmith at gmail dot com) If you do not wish to supply your email, or have trouble posting, please email maureen@justromanticsuspense.com with a subject title of JRS GIVEAWAY to be entered in the current giveaway. I have enjoyed books from the first two authors before... Jennifer Morey is a new name for me... all of these books sound really good... thanks for sharing! Would love to read each of them, love the story outline for each. These are great authors! I loved JENNIFER MOREY’S One Secret Night. 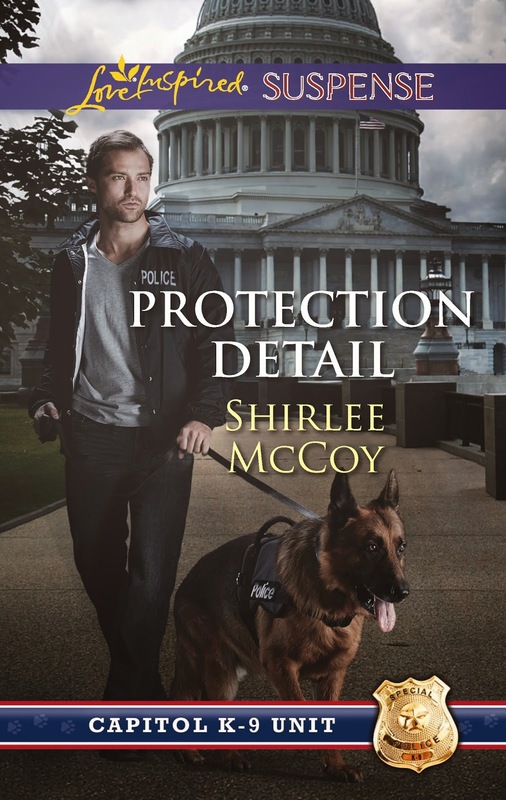 I liked "Her Christmas Guardian " by SHIRLEE MCCOY. 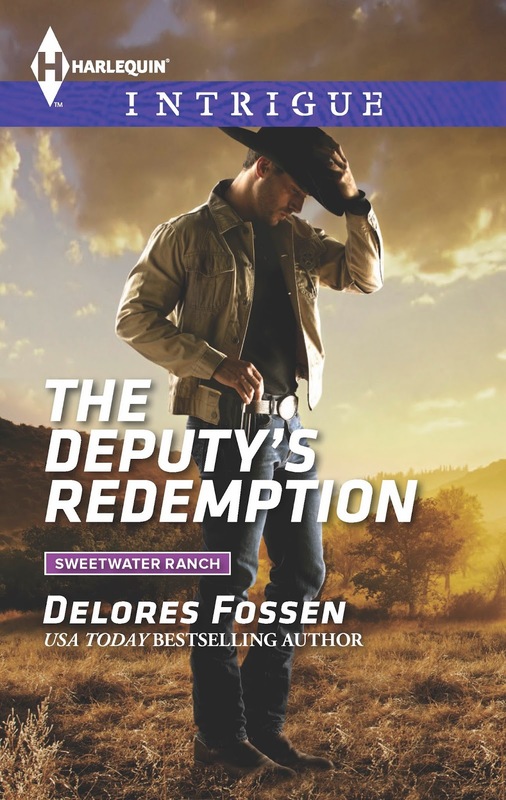 I am loving the whole Sweetwater Ranch series by Delores Fossen. Wow, these all sound so good! I love the synopsis of each book. Thanks for sharing!